The emotional scars are similar; I can trace an my ongoing fear of water all the way back to visceral memories of a misguided wander into "Amazing Mumford's Water Maze" at Sesame Place in Texas, at the age of 3. My latest addition to the irrational fear basket is snow slides. 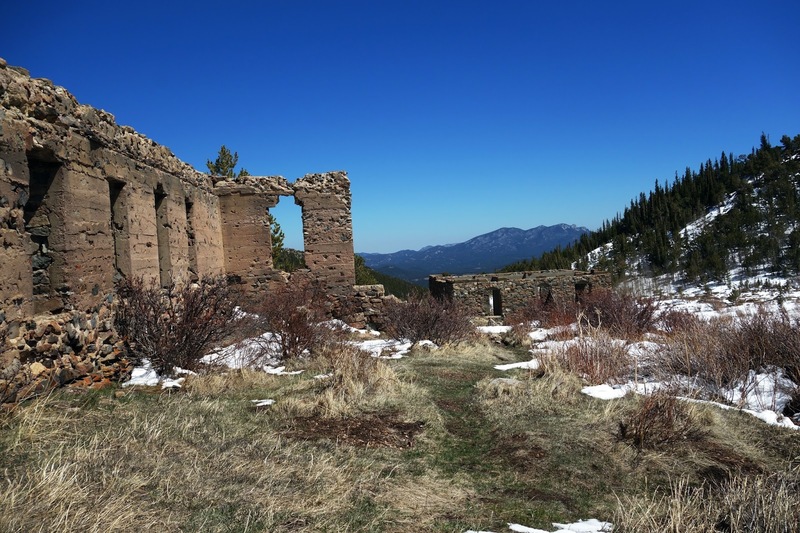 Last weekend, when Beat and I went hiking through the rapidly melting snow around Walker Ranch, I became startled by snow sloughing of the rocks and had a real panic reaction — heart racing, nervous shivering, eyes darting around. It's annoying enough that I can't deal with putting my face under water or riding in small boats; now I'm afraid of the most benign instances of falling snow? Then there are the scars that aren't really fears, just unpleasant associations. 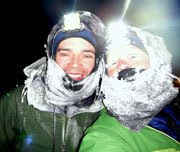 Near the top of this list are memories of the 2015 Tour Divide. Whether the association is rational or not, on an emotional level, I blame my health issues on this specific experience. The short of it is that I came down with bronchitis during the race, and pushed through it anyway for two weeks as I became increasingly more ill. After that, it was as though a switch flipped. My body was different. 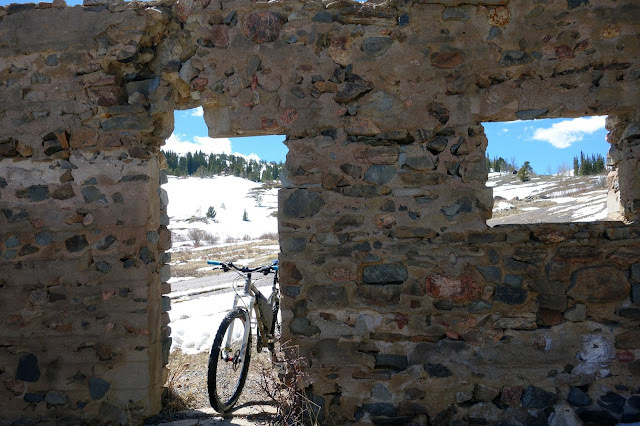 Even before I understood that I have an autoimmune disorder — which are thought to be sometimes triggered by assaults on the immune system — I felt the Tour Divide was a sharp line between the changes in my health. Of course many things about my lifestyle and genetics could have made the difference, and it isn't rational to pin everything that's happened since on a single event. Regardless, the anger is here to stay. Now I imagine grinding along those mountain roads, and viscerally feel as though I'm choking on dust, and my head weighs a thousand pounds, and I stare blankly toward beautiful horizons, only see a bleak kind of vacuousness. 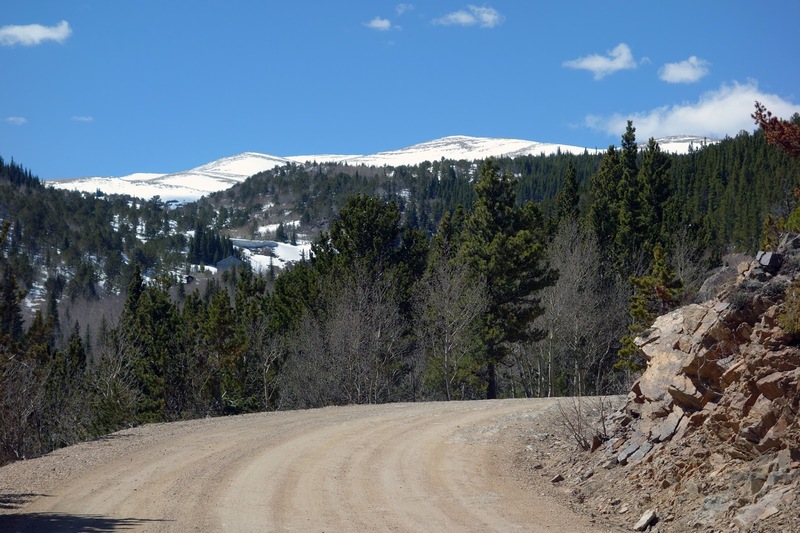 I recently realized that these poor associations with the Tour Divide have made me less inclined toward what is objectively one of my favorite things in the world — riding my bicycle through scenic landscapes. I thought about this strange association as I suited up to go for a ride on Thursday, my first in nearly two weeks. Earlier in the week, my excuse for bike avoidance was my left knee, which was still stiff from the previous week's crash. It had taken about this long to achieve full range of motion without pain. Of course I ran 16 miles through mud and slush and a lot of downhill on Monday, and my knee was fine then. But still I didn't want to ride my bike. Weird. However, I made a commitment to meet Beat after work, and mapped out an intriguing new route on forest roads above Nederland. 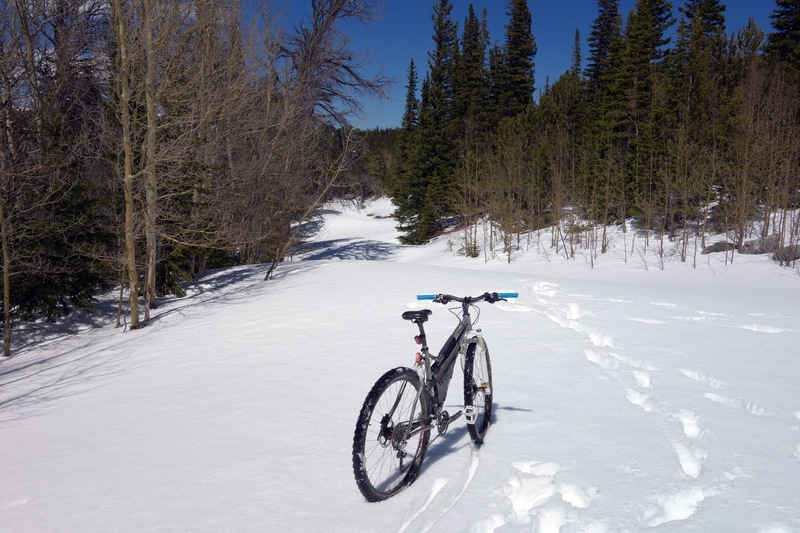 The forest roads were still too covered in snow to do much more than stumble along at 0.5 mph as my shins were cut by icy slush (and I only bothered to do this for ten minutes, mainly out of desire to cool my feet and sunburned legs.) For the rest of the ride, I felt strong. Really strong. I mashed the pedals up Caribou Road with sweat pouring down my back and lungs full of fire. I'm still afraid to push truly hard — bad associations with asthma attacks that may take a while to diminish yet. But wow, I felt incredible. Perhaps I don't have to be scarred for life by the 2015 Tour Divide. Perhaps I can even go back to that route someday, and restore the wonderful experiences of 2009. Perhaps Beat's insistence that it's possible to manage Grave's Disease and "make Jill great again" holds some weight. "The body remembers what your mind forgets. Archives every heartbreak and cigarette. And these reset bones might not hold. Yeah, but they might yet." Because I had to have knee surgery after my second marathon, I feel the same way about running long on pavement. It's good to let some things go, though I am sure you will stay with the bike. You're overthinking all of this. If you don't want to ride bikes, don't. Maybe you're bored of it. Maybe you're just hanging on to it because you've made it too much a part of your identity and now it's time to do something else. Always glad to hear when you're feeling strong out there. Seems like that's happening more often. BTW, what are those stone wall ruins? Those look cool. I suppose I didn't really convey the message I meant to in this post, which is that sometimes you do things you're disinclined to do, and you're rewarded. I really enjoyed this bike ride. Why would I walk away from that? Boating and swimming, on the other hand, are something I mostly have avoided because of psychological hangups. I'm not proud of that.